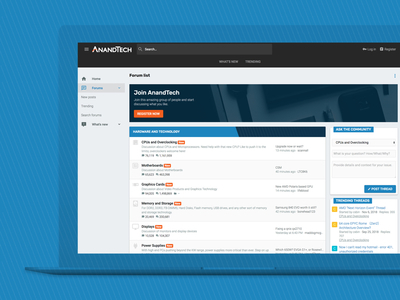 AnandTech has been one of the top communities for tech enthusiasts since 1997. A well-known brand for two decades, AnandTech offers hardware news and tech reviews on the latest products. 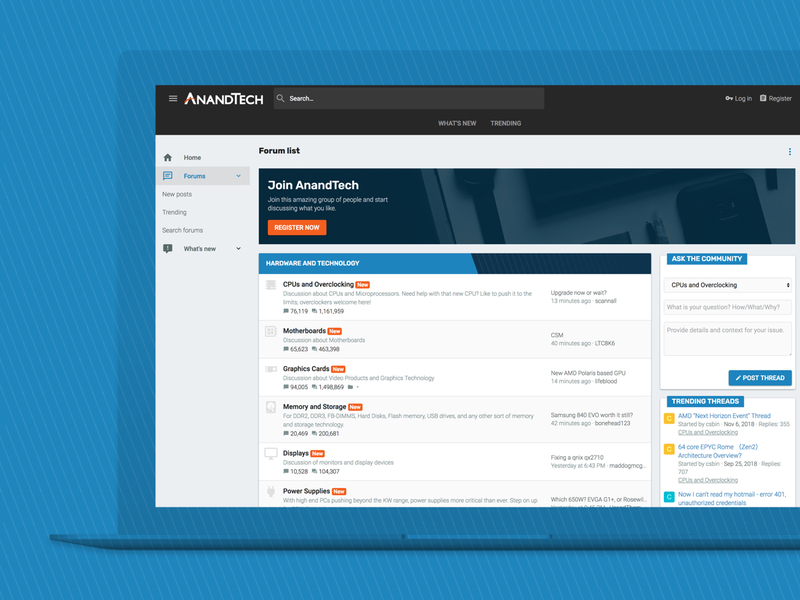 Being such a staple in the forum world, it was imperative that we deliver a fresh, modern theme that helped elevate the AnandTech community but still maintain current branding motifs. Unique category strips and custom iconography for each node made for a brandable theme unique to AnandTech.